Toronto Has 99,236 "Unoccupied Dwellings"... So What? 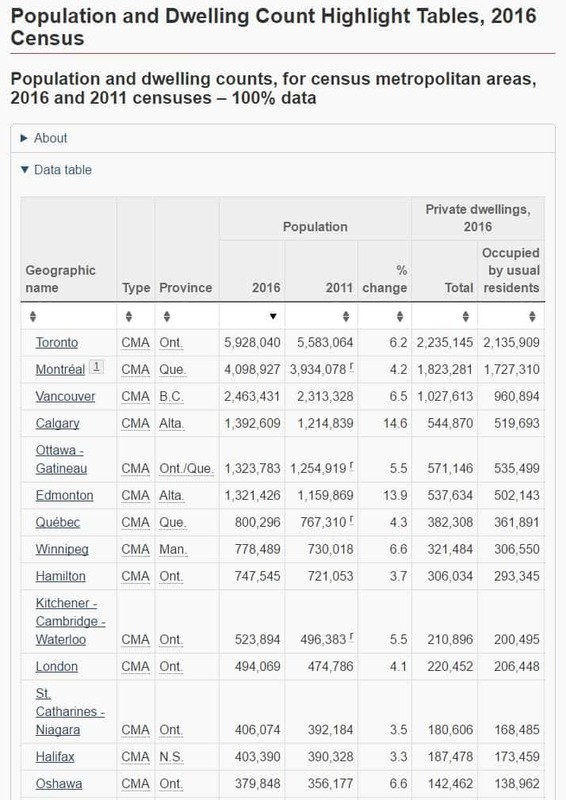 Toronto Has 99,236 “Unoccupied Dwellings”… So What? There has been an article circulating lately about how Toronto has 99,236 unoccupied dwellings according to the latest census data. The article doesn’t even deserve a link, because all it is trying to do is create panic in the Toronto market. Take this line from the first paragraph, “Now with over 99k unoccupied homes in the city, speculation of Toronto real estate might be worse than previously thought.” Knowing that many of my clients may come across this kind of garbage “reporting”, I decided to actually research what this actually means. What Is An Unoccupied Dwelling Anyway? Refers to a private dwelling in which a person or a group of persons is permanently residing. Also included are private dwellings whose usual residents are temporarily absent on May 10, 2016. Unless otherwise specified, all data in housing products are for private dwellings occupied by usual residents, rather than for unoccupied private dwellings or dwellings occupied solely by foreign and/or by temporarily present persons. Based on that definition could that mean does this mean that snow birds, who may have been in Florida when the census went out, homes’ could be considered unoccupied? I don’t really know. Sure, there are people out there who own pied-à-terre properties as well as properties being used as AirBnB’s so these could all get lumped into this also. Does this also count properties under major renovations, properties being built and properties being flipped? I will investigate this further later, but I am not sure it matters. What Is The History Of Unoccupied Dwellings in Toronto? Based on this information you can see the number of unoccupied private dwellings is actually going down when represented as a percentage of all private dwellings. How Do We Compare To Other Canadian Cities? Based on this, Toronto has the second fewest unoccupied private dwellings when looked at as a percentage of all private dwellings in the city. The only city with fewer is Hamilton. As you can see it is important to always question statistics because they can be used to tell very different stories. There are plenty of people with lots to gain if they can send the market into a frenzy so don’t believe everything you read. Also with vacancy rates at just 1% you would be a moron not to rent out your “vacant property” and at least get some money for it.